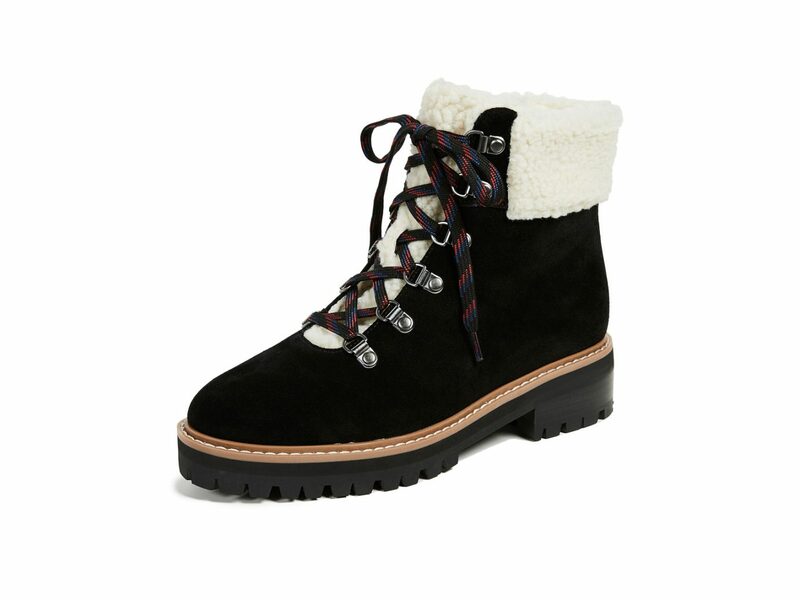 Who’s ready to up their boot game? We certainly are, and we’ve been combing through the many options to find the winning picks. 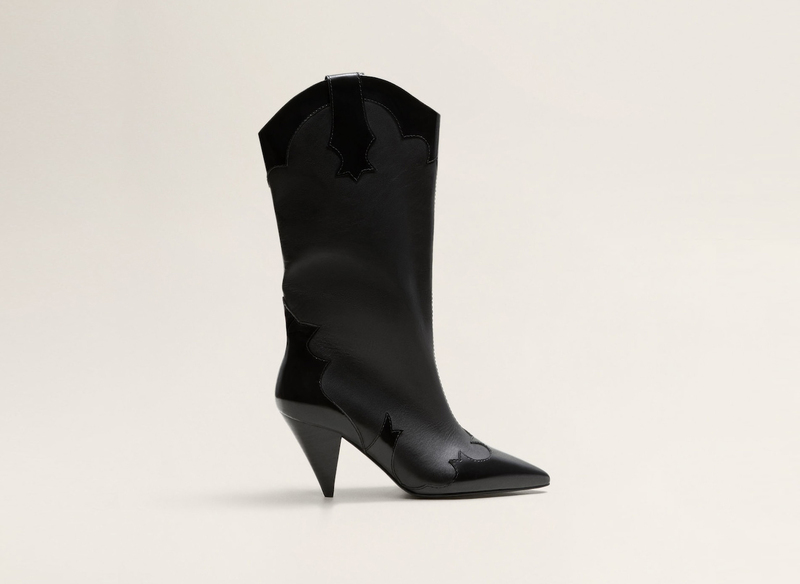 Western styles still reign supreme, as do knee-highs, lace-ups, and chunky platforms. 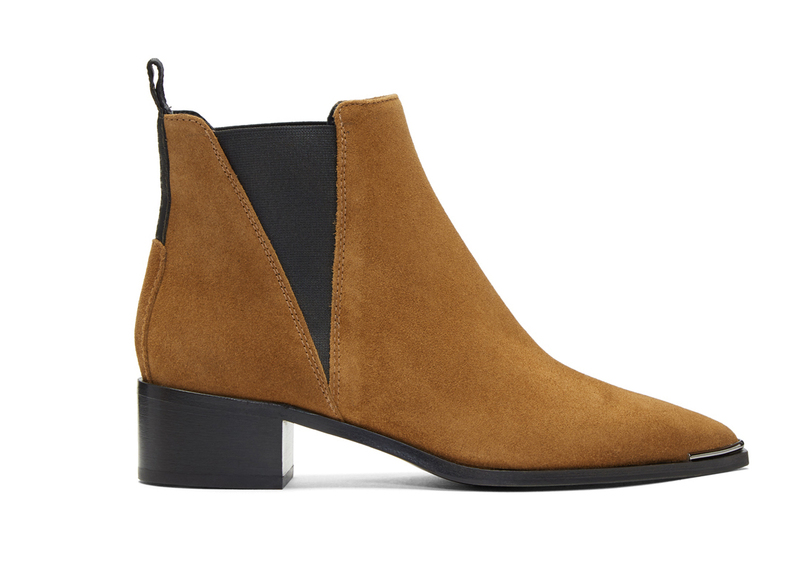 Add to the mix the various Chelsea boot iterations, along with dashes of 80s inspiration, and you’ll find there’s something for everyone. 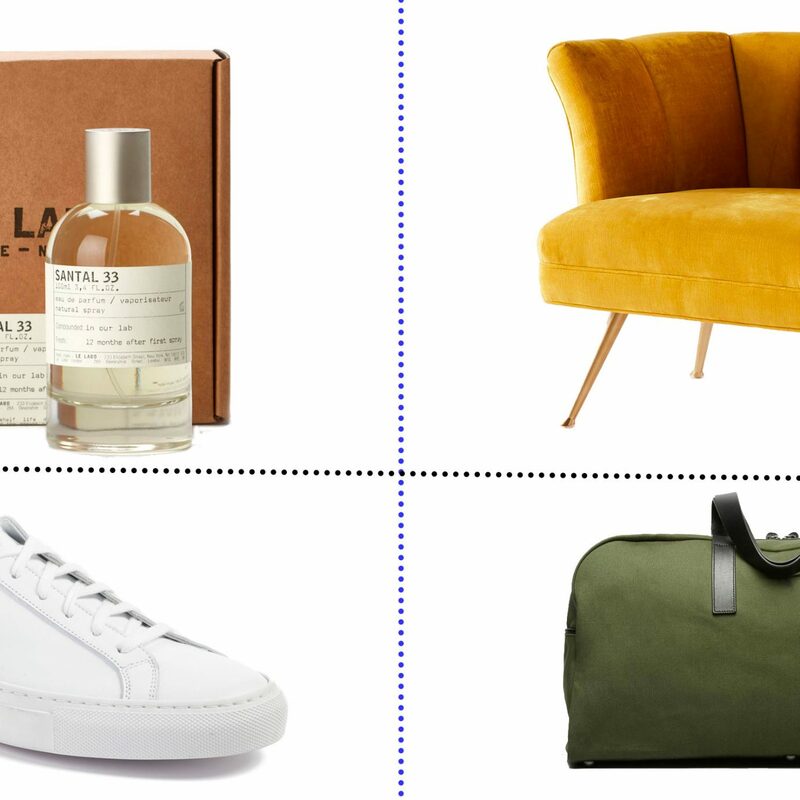 Check out our selects and add a fresh pair (or two!) 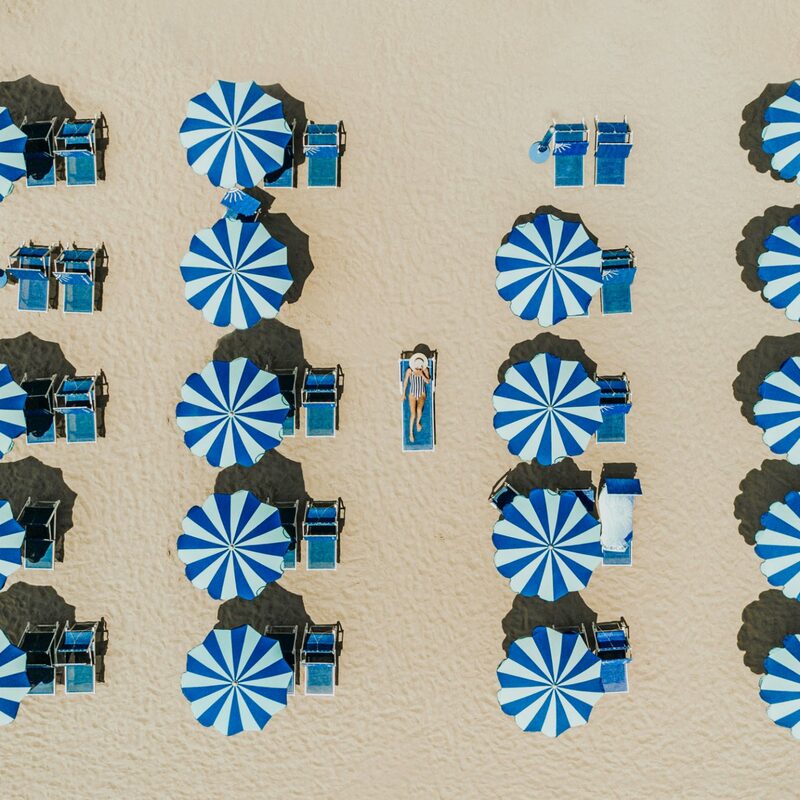 to your rotation. 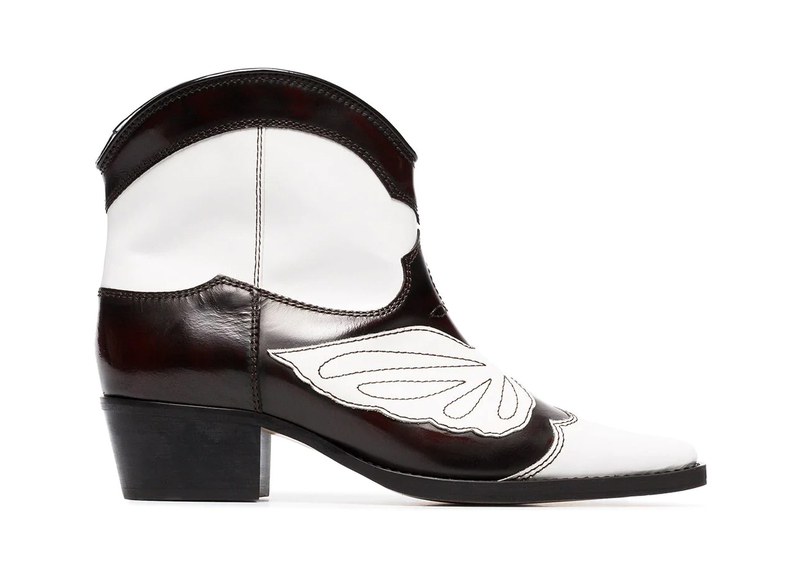 Going for "sleek cowboy," perhaps? 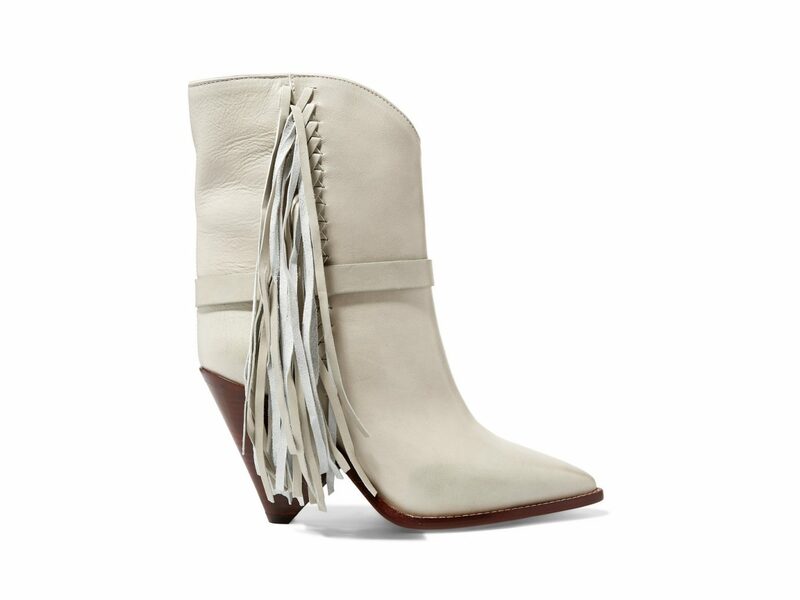 We love this combo of Western detailing and the on-trend cone heel. 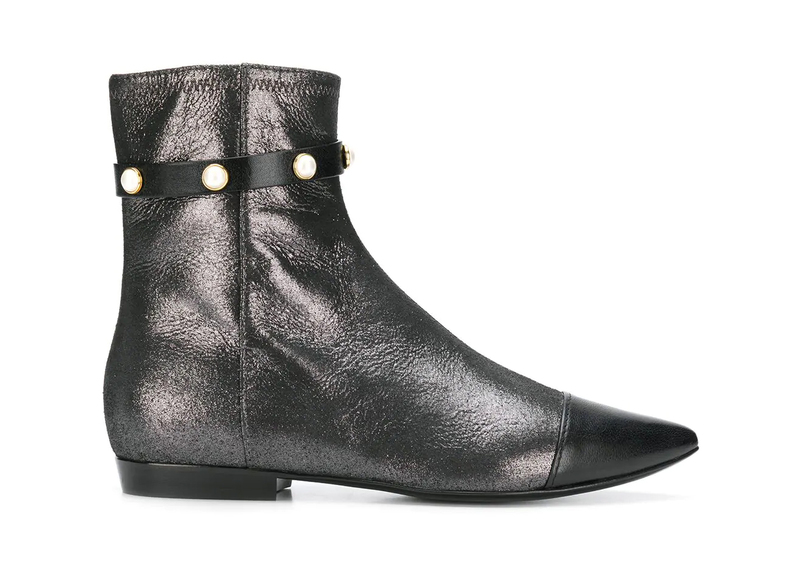 These leather boots would look über-chic under a midi dress or skirt. 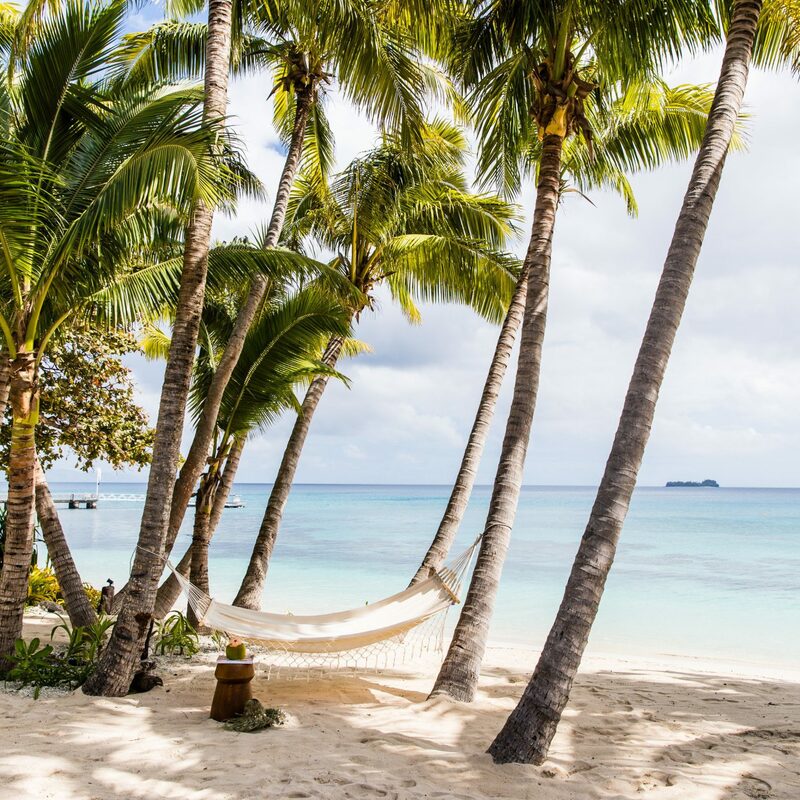 Isn't the creamy cognac color sublime? 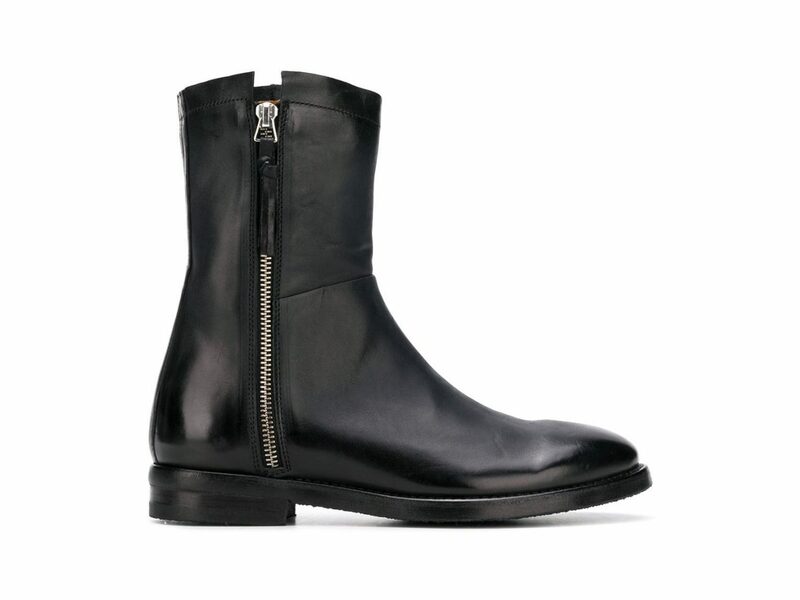 As a go-to day option, these Chelsea boots with zipper detailing are a slick take on the classic style. 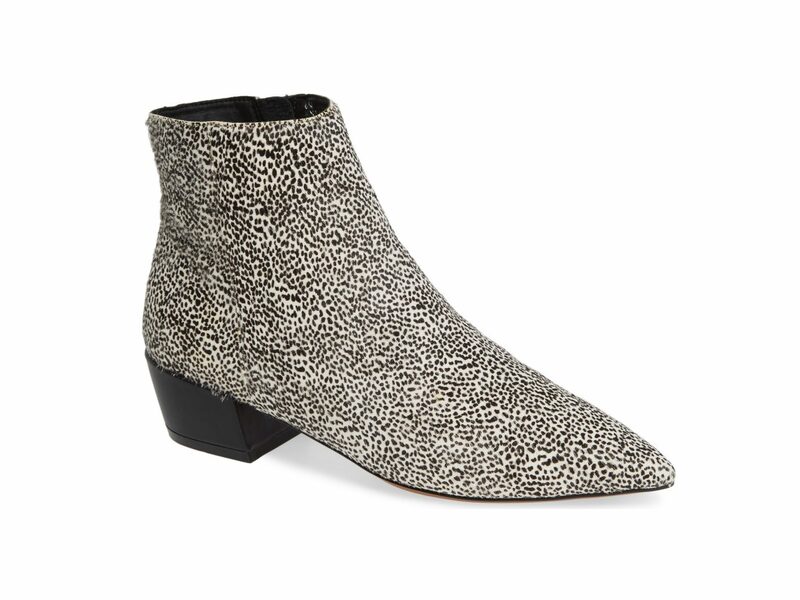 We’re not sure quite sure which animal the print belongs to on these 80s-style booties, but we’re into it. 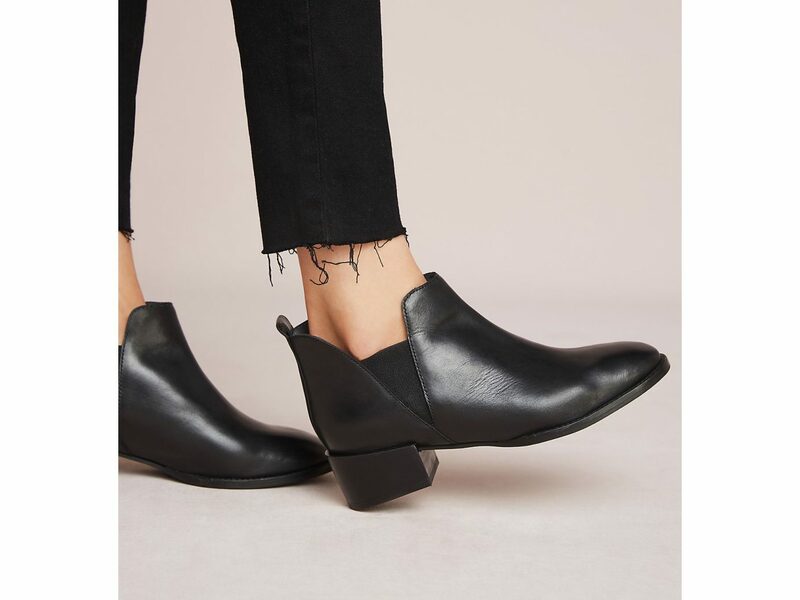 Show off a little ankle with this fun low-rise version of the classic black Chelsea boot. 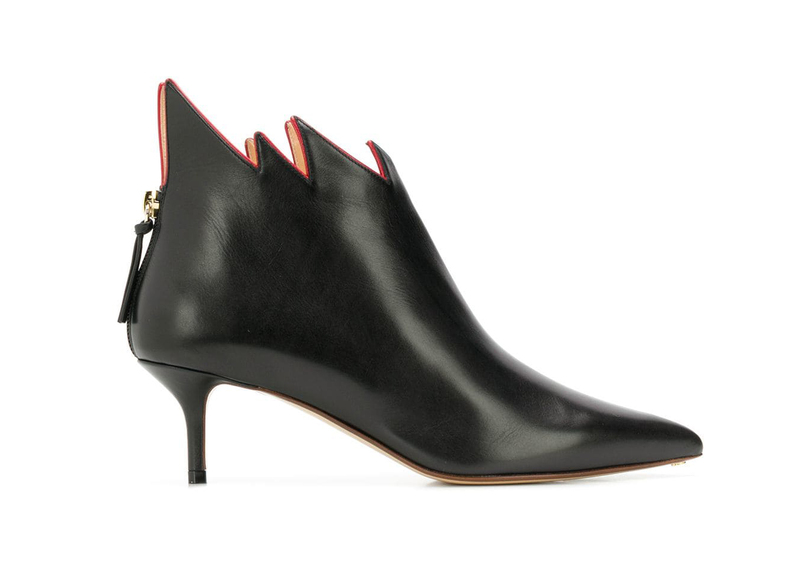 The boots are on fire! And, frankly, speak for themselves. Rock these statement-makers with a dress or tuck in a pair of jeans—they deserve to be shown off. 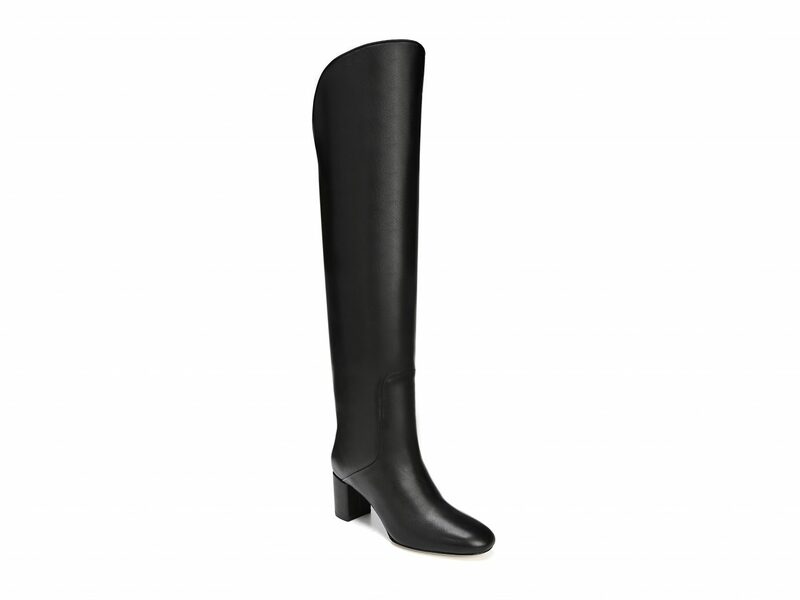 Simple but impactful, these tall black leather boots are killer. Metallics are also super on-trend, and we love this 60s-mod-meets-Chelsea hybrid. 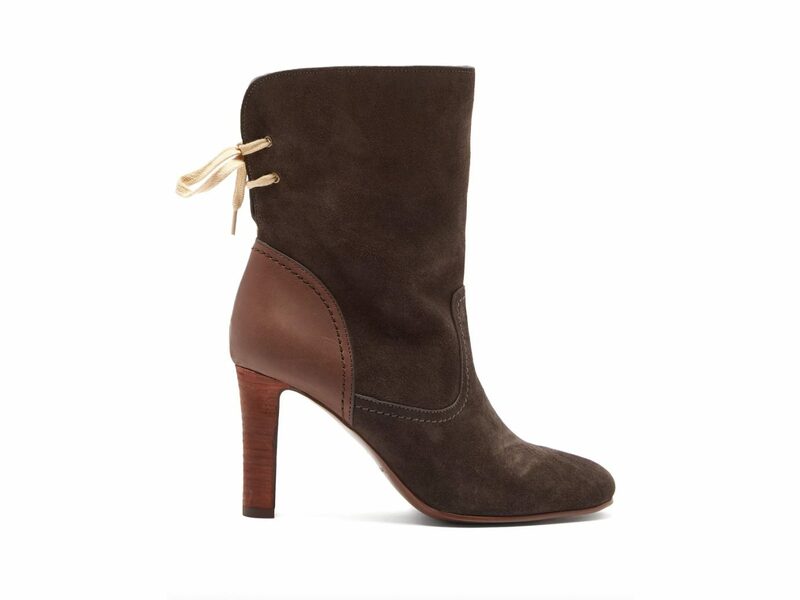 Cuff down the ankles or keep them up—either way works on these fabulous chocolate-brown boots with lacing detail. 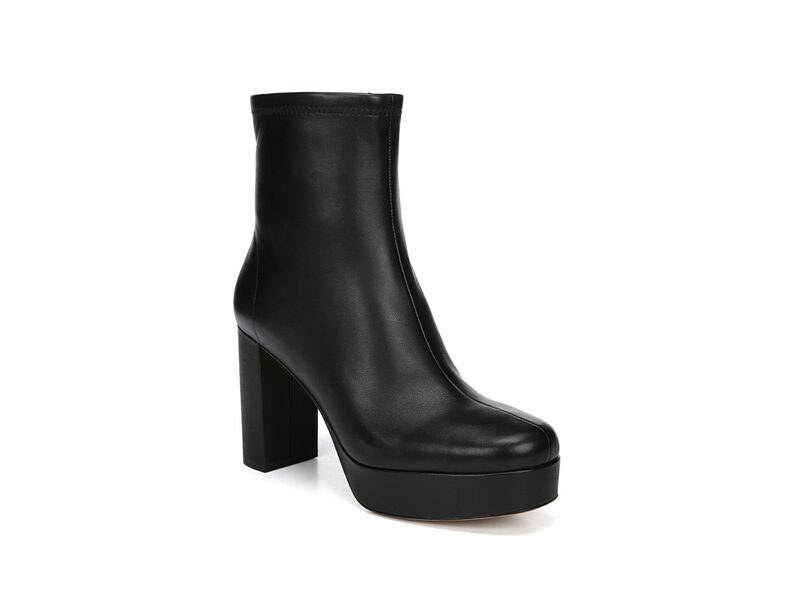 The chunky platform bootie is flattering and can work with practically anything. 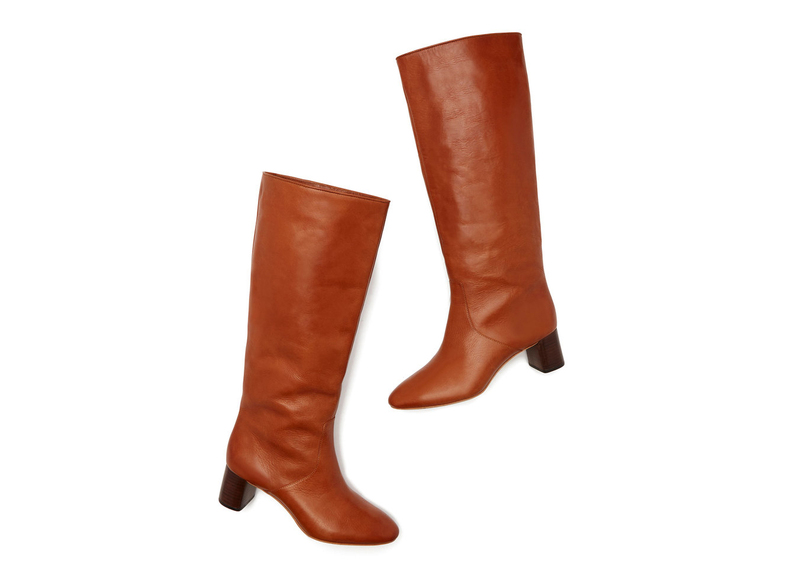 Pair these brown suede kicks with cool cropped jeans and a cozy sweater. 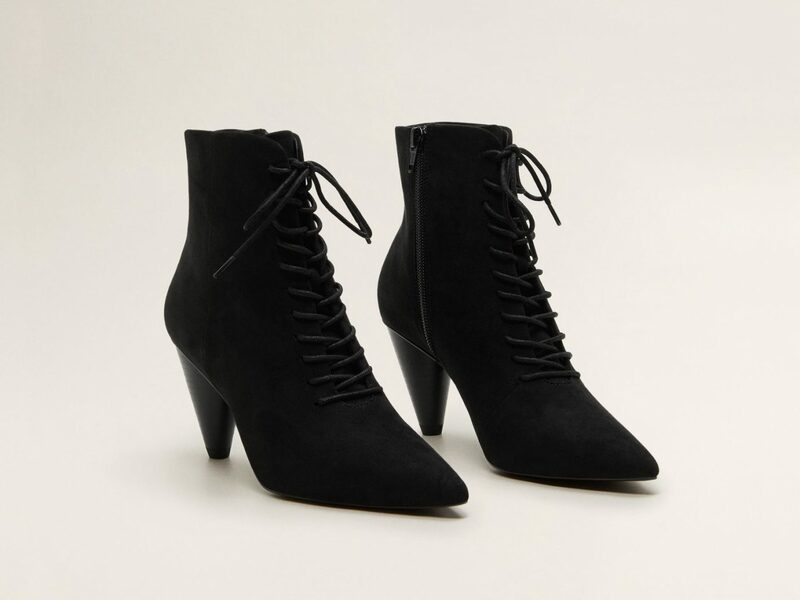 These feminine lace-ups with a Victorian flair go perfectly with long skirts. 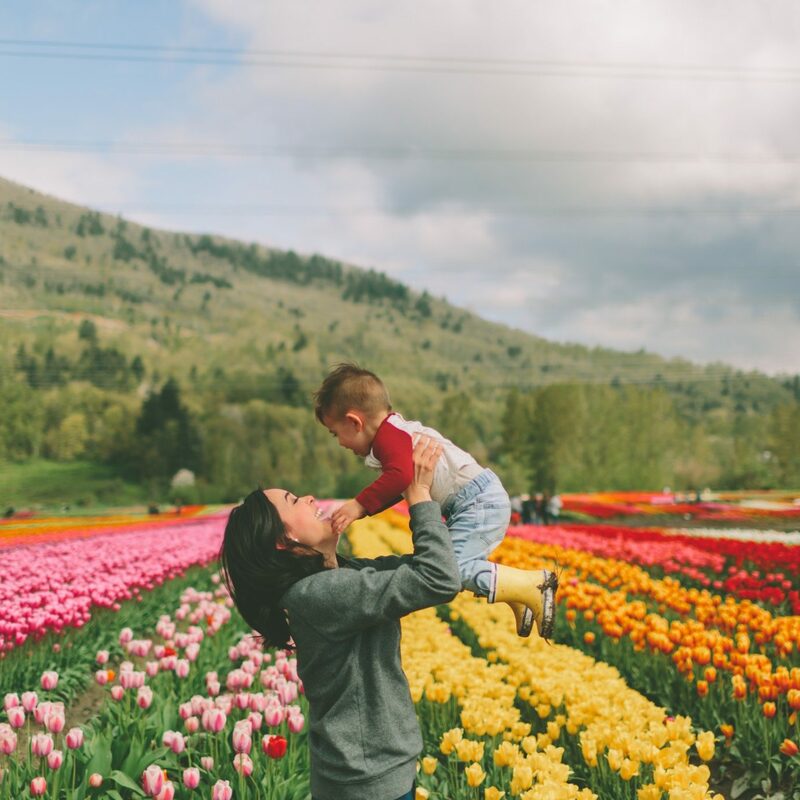 While similar to this season’s chunky combat style, hiking boots are an "it" boot of their own—on the mountain and off. 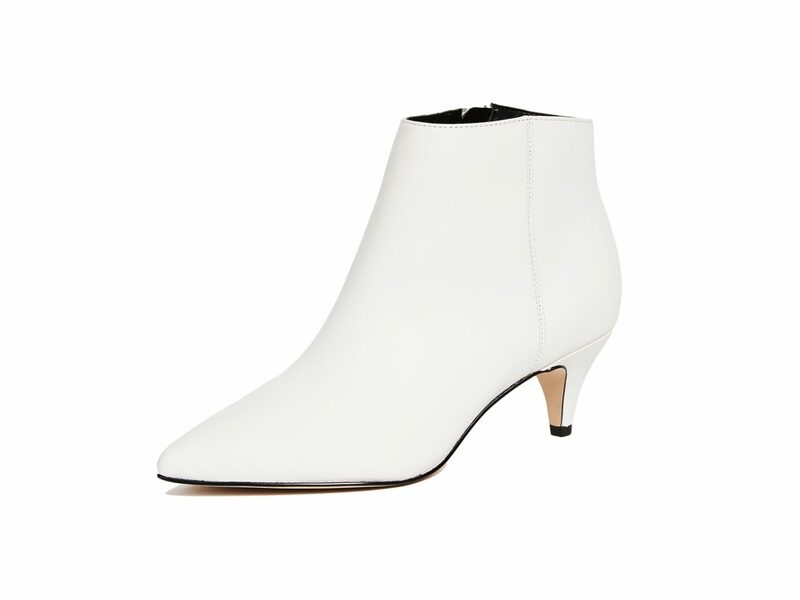 White booties are still kickin' it, and we're obsessed with the kitten heel on these Sam Edelman ones. 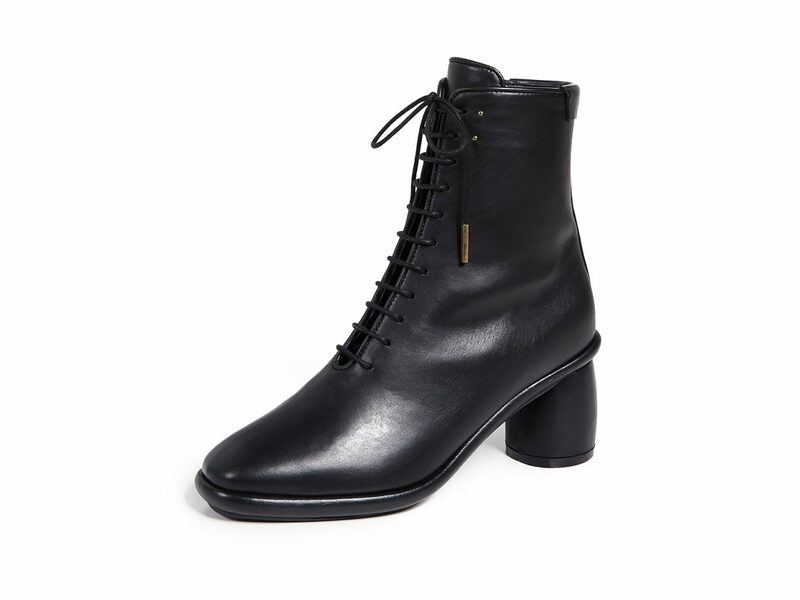 A modern take on a classic black work boot, these leather lace-ups by Reike Nen might just be the season's hottest look. 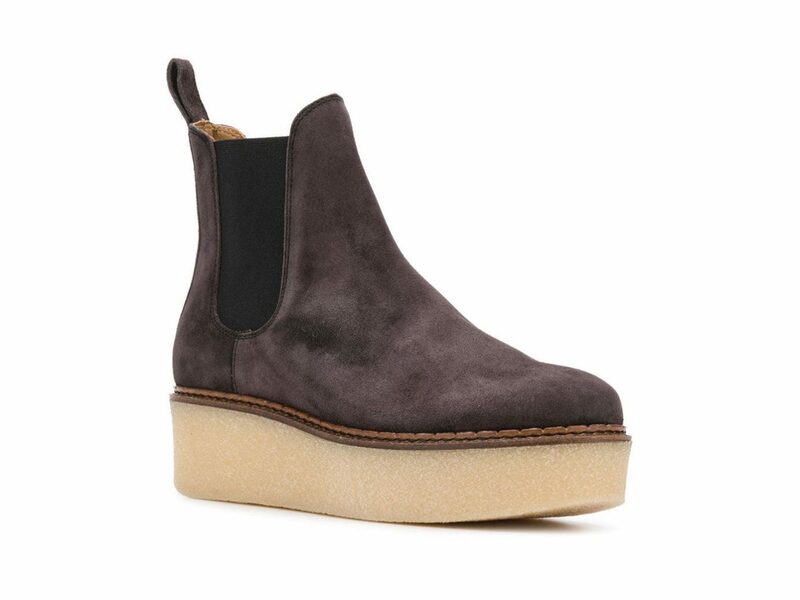 This chunky, platform Chelsea bootie is the ultimate weekend option.